Meridia Weight Loss Pill Review (UPDATED 2019): Is It Safe? Meridia Weight Loss Pill Review: Is It Safe? A prescription pill that is said to not just reduce body weight but also keep it off. They are said to work by leading the body to a thermogenesis effect keeping the body warm and in a state of increased fat loss. Though there is the fact that this was made to work in combination with a diet and exercise plan. This drug has been prescribed to people with a high body mass index and only those considered obese can qualify. It is sold as a product that can make you lose at least 10 pounds a year with an average dose. This study was concocted by the manufacturers themselves and it is unclear if this will work for most people or if the study was even valid. Let’s delve into the facts and see what the research has to say. Abbott Laboratories used to manufacture this drug before it was voluntarily recalled off the shelf due to its high risk of heart attack and strokes. They have a historic record of settling the third largest drug company settlement, paying over 1.3 billion dollars for their role in illegal marketing in the US. Working within the brain this drug rewires serotonin receptors that regulate hunger cravings. Weight loss is achieved by essentially tricking the brain into thinking it is no longer hungry. Customers have reported slight weight loss when combined with the necessary diet and exercise plan, but it is unclear if diet and exercise are the main reasons for weight loss. There is also major concern about safety since this product has been recalled from most markets and is now only available from countries without strict safety regulations. For an alternative all natural weight loss pill that isn’t on the black market, find solutions here. -Sibutramine: The only active ingredient in Meridia, this drug has been pulled from most markets and is only available on websites that offer illegal substances such as steroids and prescription drugs. This drug is no longer offered in many countries including but not limited to the US, EU and India. Potential Side Effects: Anxiety, difficulty breathing, depression, insomnia, headache, anorexia, mood swings, difficulty concentrating, increased heart rate, stroke and heart attack. 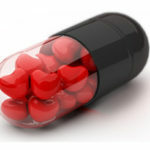 An average dose can be taken just once daily. There is a reason why this drug was pulled off the shelves. 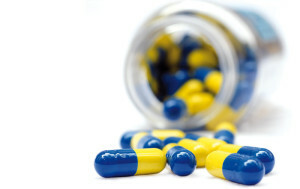 The FDA themselves asked for the drug to be pulled voluntarily due to it’s increase of heart attack and stroke. To top it off the weight loss benefits were not effective enough according to the FDA. A statement was made to immediately throw away any and all bottles of Meridia and to completely discontinue use due to its lack of safety. Another troubling sign is that the rate of effectiveness of a reduced 10 pounds a year in one study is such a small reward considering you still have to watch what you eat and exercise often. In fact the manufacturers themselves mention how diet and exercise is essential for any changes to occur. You won’t be able to tell if you are doing all the work or if the drug is actually helping. This drug has already showed a huge amount of side effects just from short-term usage. There is no study officially done of over 2 years so the possibility for further damage remains a constant problem. If one were to still try and find the drug the only available option is on the streets or on shady websites that cater to selling “discrete” packages with other banned substances offered. It would not be advisable to deal with these companies that are underground and do not offer a safety or value guarantee. There is also the fact that in many countries it is illegal to have leading to potential health and legal problems. It took about three years for this product to be banned and the list of heart related conditions are all over the web. Customer after customer has discussed the wide array of side effects and the little to no improvement in fat loss. There is an incredible amount of risk associated and that is why the company voluntarily recalled their product. You shouldn’t trust your life on a pill that has caused severe damage to people. The risk of heart related conditions are high according to the FDA. To find healthier all natural weight loss pills, you can find options better suited. The fact remains that you have the opportunity to find weight loss in an all-natural and safer way. For your own benefit, look at other alternatives that can be better for you. 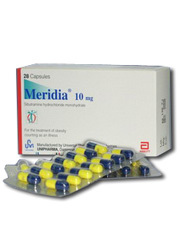 Whats better than Meridia Weight Loss Pill?